Lynn MacBeth is recognized locally and nationally as a leading conflict mediator. Her practice focuses on workplace, family, business, and liability cases. She holds the designation of Advanced Practitioner, and is a provider of Basic Family Mediation Training approved by the Association for Conflict Resolution. Lynn MacBeth leads training and skills workshops around the country and in Pittsburgh. Lynn MacBeth is a Generations Mediator (the court-mandated custody program of the Allegheny County Court), Federal Court Mediator, a U.S. Postal Service Mediator, a Bankruptcy Court Mediator, and a Mediator for the U.S. Equal Employment Opportunity Commission (EEOC). Increasingly, parties involved in lawsuits are discovering that this method of resolving issues saves money, time, stress, and attorneys' fees, and preserves working relationships. 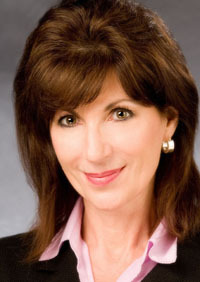 Lynn MacBeth accepts private cases involving insurance claims, business disputes, family issues, workplace disputes, personal injury and product liability, professional liability, and intellectual property. Clients are guided and informed to understand issues and decisions, while maintaining control of the process and all decisions. Lynn MacBeth uses the Transformative and Facilitative styles of mediation and, where appropriate, a directive style. This means she is committed to client self-determination, neutrality, confidentiality, and a mediation process that is respectful and empowering while assisting parties in reaching a settlement that works for both sides. Broadening the Construct of Family: A Diversity Approach to Mediation. Lynn MacBeth has appeared on television and in workshops across the country speaking on legal and mediation issues. Lynn MacBeth is a co-founder of Pittsburgh's Parenting Institute, together with Dr. Robert M. Wilson and Dr. Anthony McGroarty. The Parenting Institute provides counseling (i.e. coparenting counseling, reunification counseling), resources, and other services to families in transition. The mission of the Institute is to make these services available to all families who need them on a sliding- scale fee basis.